Westminster Teak's collection of Lounge and Club Chairs are known worldwide as some of the world's finest and most durable lounge chairs available. Precision engineered to ensure a lifetime of use and finely sanded to an irresistibly smooth finish. 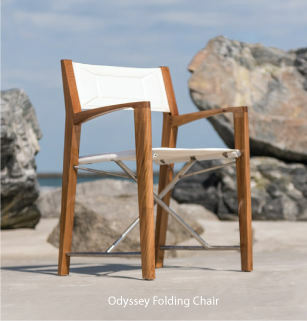 All of our teak wood lounge and club chairs are suitable for indoor, outdoor, residential, commercial and marine use. Thank you so much All of the furniture arrived. Because of space at the moment, we haven't assembled the lounge chairs yet, but the others are perfect and were a snap to assemble. The quality is better than I could have imagined! The shipment arrived intact and we are enjoying the chaise lounge chairs Thank you for the follow up.. I wanted to write to you to tell you how highly we appreciate your teak wood furniture products and your service. The shipment arrived on June 3, as promised and the delivery person unloaded quite a considerable amount of merchandise and put it in our garage as I indicated. He was careful and courteous and left wishing us well with our new purchase. As you know, we ordered eight chairs, two lounge chairs, two dining tables and a tea cart, so he had his work cut out for him! My husband and nephew set about putting the furniture together and shortly thereafter your beautiful and well-designed pieces were ready to be used. They are, as I said, beautiful. The wood is smooth, the joints are almost seamless and the finished pieces are sturdy as well as being pleasing to the eye. All in all, from the initial placement of the order to continued enjoyment, your company's products and on-line accessibility have been without parallel. I hope to do much more business with you in future months and years.